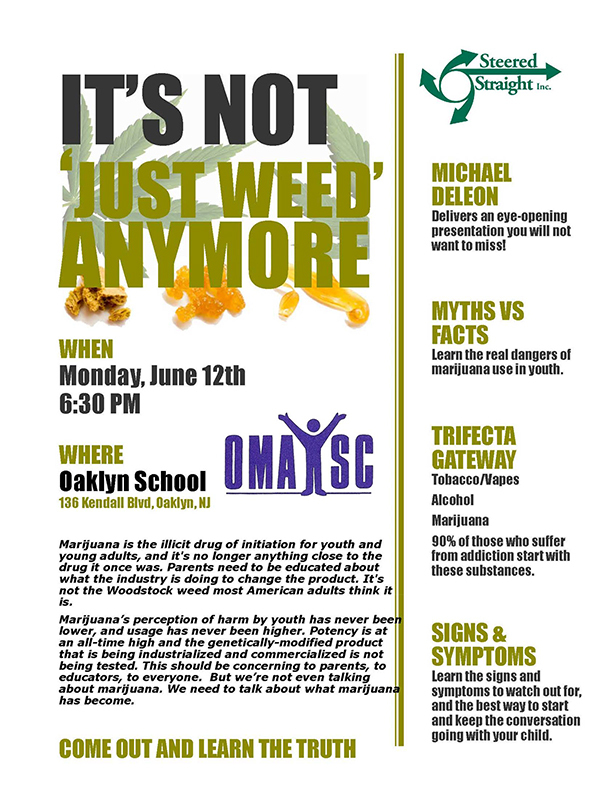 Come out and learn the Truth on Monday, June 12th starting at 6:30PM at the Oaklyn School on Kendall Blvd in Oaklyn. Marihuana is the illicit drug of initiation for youth and young adults, and its no linger anything close to the drug it once was. Parents need to be educated about what the industry is doing to change the product. Michael Deleon delivers an eye-opening presentation you will not want to miss.